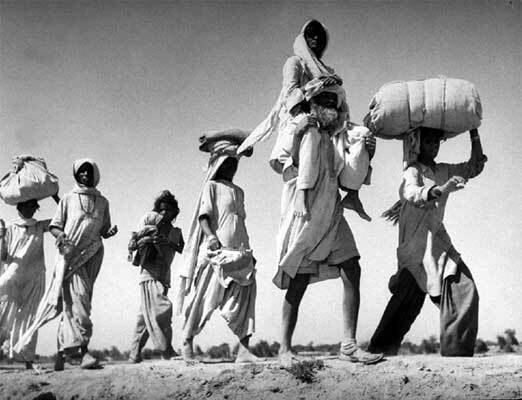 1947Partition.org is a Histories of Migration and Violence Project dedicated to creating an archive of knowledge about the Partition of the Indian subcontinent by the British in 1947. An ongoing and central part of this knowledge project is collecting video testimonials of those who were displaced or affected by the Partition, and are scattered around the world. Our hope is that these diverse voices of how individuals witnessed and survived violence, lost old homes and migrated to new lands, will illuminate for research and educational purposes, the little known experience of ordinary people affected by 1947 in South Asia. Find out more about 1947Partition.org, its founder and institutional location. Learn how you can participate and contribute to this knowledge project if you or your family members or friends have witnessed, experienced, or migrated due to the 1947 Partition. Here you can see short clips of the video testimonials recorded around the world about the experience of those who migrated, or were affected by the migrations and violence of the 1947 Partition. Here you will find additional resources, as well as links to other archives of knowledge about and related to the 1947 Partition. These resources serve as a starting point for research on the Partition and South Asian cultures.